Typing codes? 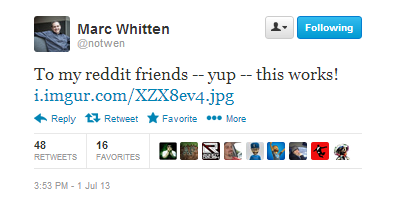 That's so last-gen.
Microsofts' Corporate Vice President, Marc Whitten, confirmed via twitter that the Xbox One's Kinect will have the ability to redeem/scan the QR codes. Background on the Xbox One Kinect: The new Kinect will be able to activate the Xbox One console by voice. It will have a 1080p camera compared to the VGA sensor on the original Kinect. The new Kinect will accomodate smaller and dense environments opposed to the original Kinect. Finally the Xbox One Kinect will feature a 1:1 movement ratio with little to no lag. Tired of writing codes? The Xbox One Kinect will save you the hassle. The Kinect will simply scan your QR code making life easier for you. Now this is was confirmed not to long ago. 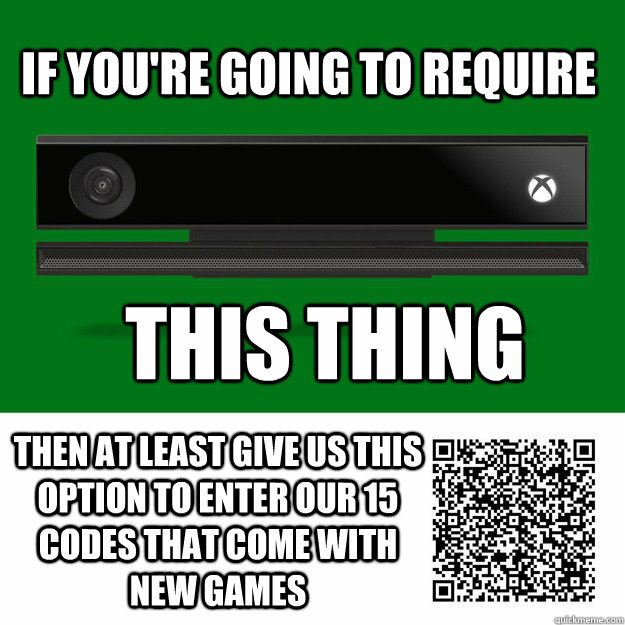 I can't wait to see what they have in store using the QR feature on the Kinect. Hallelujah! I bet I'm not the only one tired of getting constant errors when imputing the code. In my opinion the Kinect does some spectacular things, what incredible technology in that small thing. Have you thought that maybe the Kinect justifies the $100 price over the PS4? What are your thoughts?